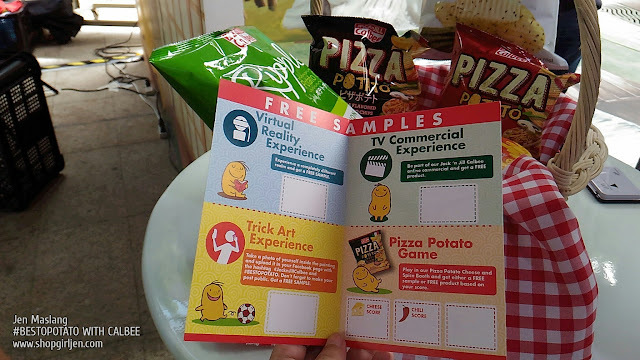 Last year, I attended the grand launch of Jack 'n Jill latest potato snacks, Calbee (read HERE). 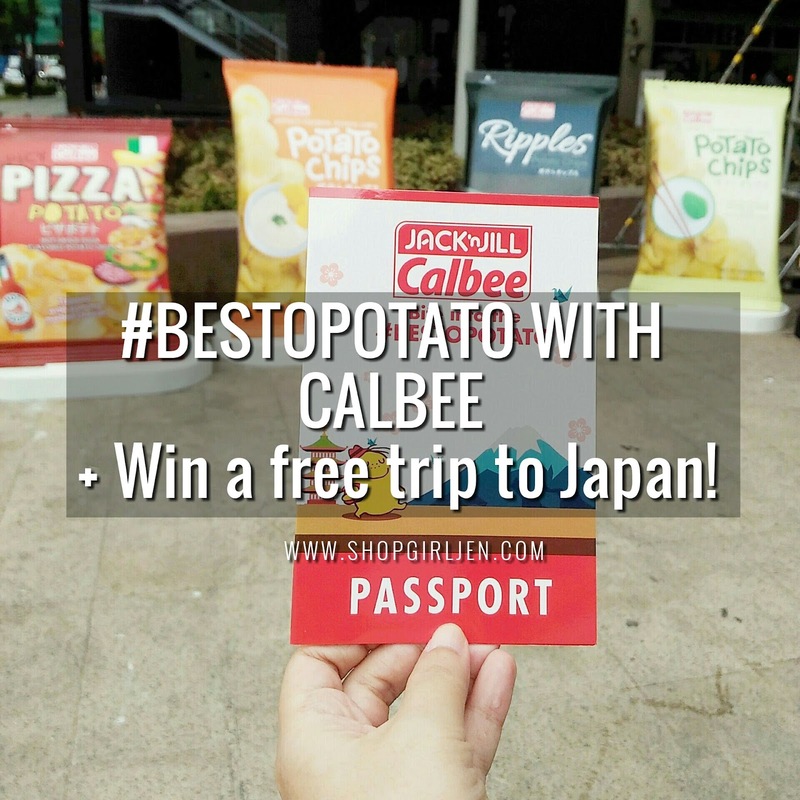 And this year, Jack 'n Jill Calbee has taken the besto potato experience to a whole new level! 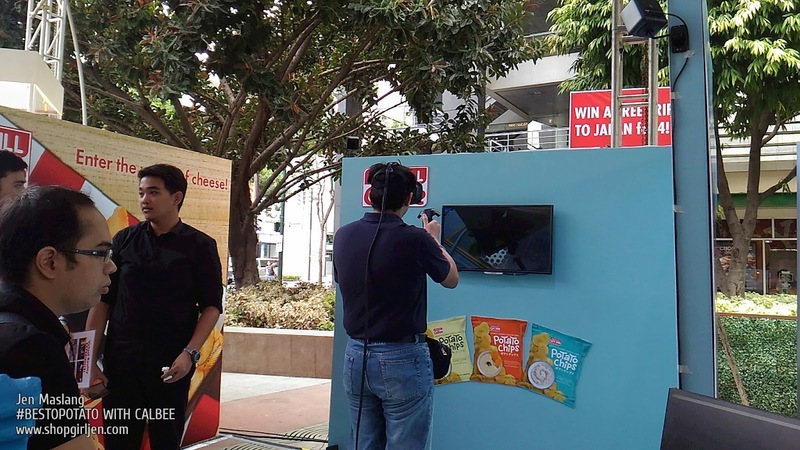 Here's your chance to experience the #BESTOPOTATO pop-up store happening in the metro in the coming weeks! 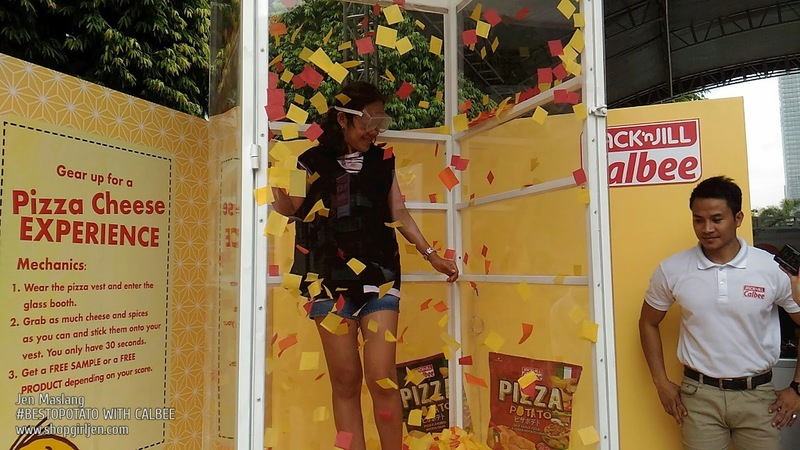 The pop-up store will let you experience its one-of-a-kind activity booths plus a chance to win an all-expense paid trip to Japan for four! 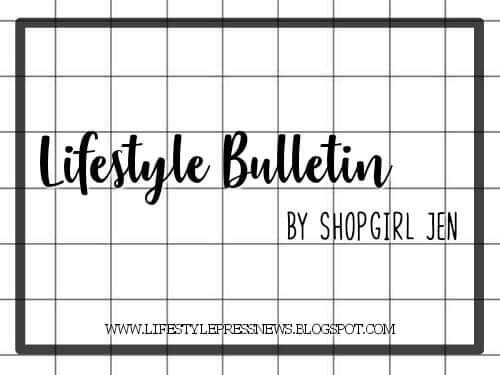 I had a privilege to attend Jack 'n Jill Calbee's first pop-up store held at Bonifacio High Street. It was a whole day fun event that I'm sure everyone will enjoy. To get a glimpse of of what activities is in store for you when you visit Calbee's pop-up store, do check this out.. Try to catch as much cheese as possible in a flurry inside a glass tube with the Jack 'n Jill Calbee Pizza Potato Game. Be transported into an adventure filled dimension in Jack 'n Jill Calbee's Virtual Reality Booth. Upon entering the pop-up store, you'll be given a passport. 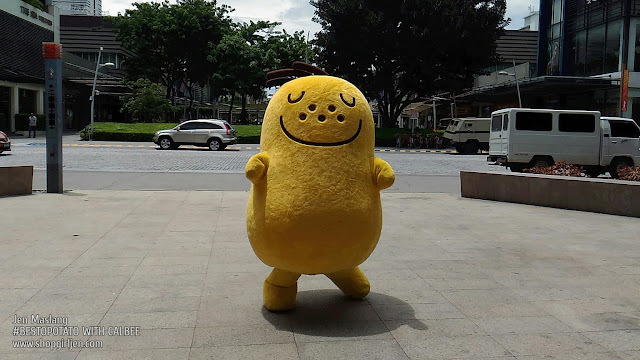 After you finish all the activities, you'll be given a sample snacks of Calbee to taste the real potato chips. 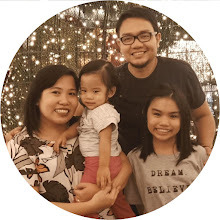 You can also grab Jack 'n Jill Calbee's premium items such as Jaga plush toys, stationary, tees, pillows and a lot more limited-edition items for you to choose from. Jaga is sooooo cute, right? I wanna take him home! 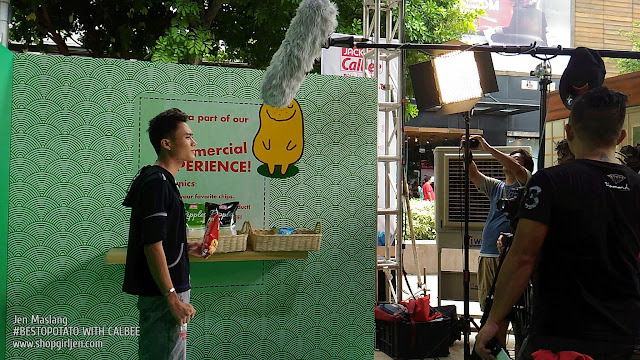 You can experience the #BestoPotato's wide range of innovative potato snacks. 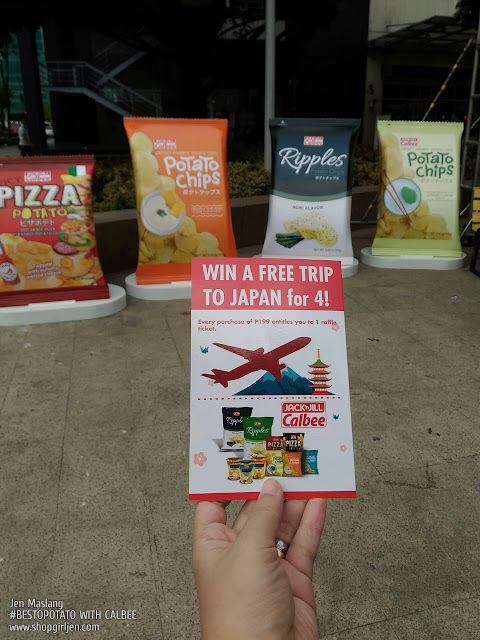 They only uses the best potatoes produced under the Japanese standards of quality and not compromising the original flavor of Japan's Calbee. 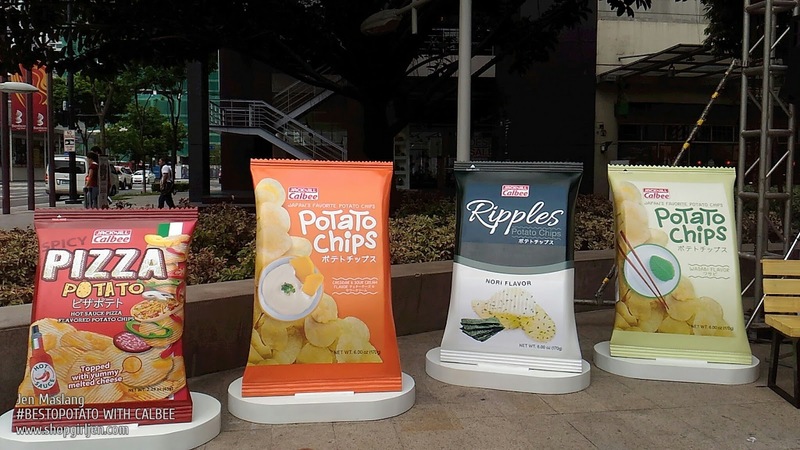 The Japanese-themed pop-up store offers Jack 'n Jill Calbee's lineup of premium potato snacks such as Jagabee Potato Fries available in Cheese, Classic Salted and Garlic; Pizza Potato that comes in Regular and Spicy flavors; Potato Chips available in Classic Salted, Wasabi and Cheddar and Sour Cream variants; and the new Ripples that comes in Nori and Sour Cream and Onion variants. 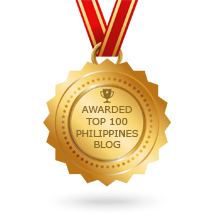 And what a better way to experience #BESTOPOTATO Calbee? By winning an all-expense paid free trip to the land of the rising sun, Japan! Yep, you read it right! For every Php199 worth of purchase in the pop-up store, you are entitled to a raffle entry. 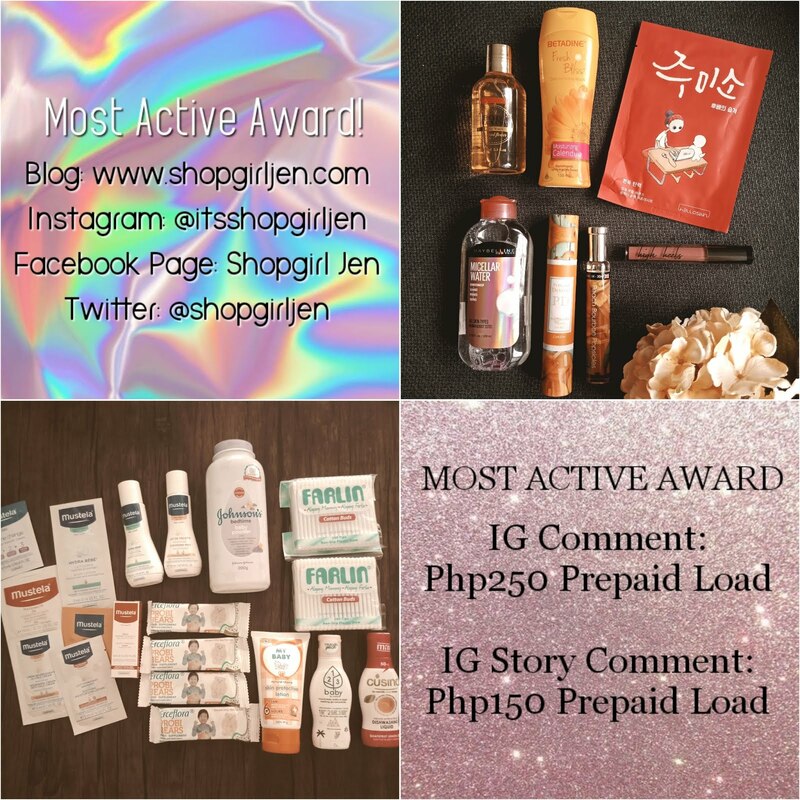 3 winners will win a free trip to Japan for 4! Exciting, right?! Drop by with your friends and family and have the #BESTOPOTATO experience with Calbee! July 16-17 Alabang Town Center; July 30-31 UP Town Center; August 5-6 Robinsons Place Manila + other malls in the coming months. Jack 'n Jill Calbee pop-up store will all be visiting 15 universities in Metro Manila. 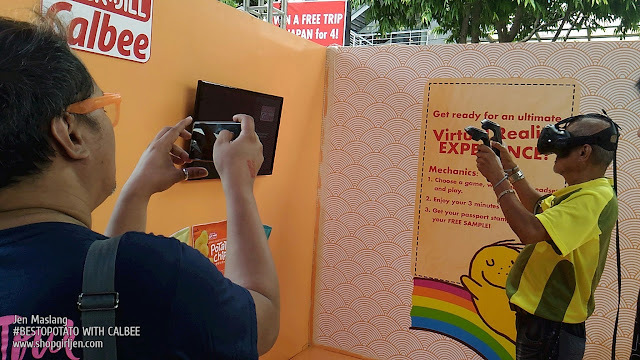 Students will get to experience the pop-up store's fun activities and also get a chance to join its trip to Japan promo. Just simply post your pop-up store experience on Facebook and include the hashtags #JacknJillCalbee #BESTOPOTATO #TakeUsToJapan to earn a raffle entry. 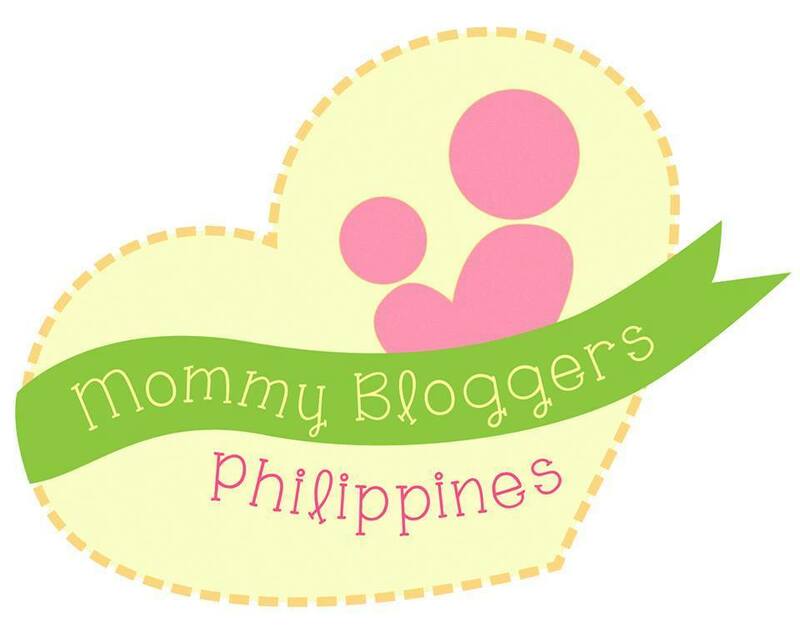 Don't forget to like their Facebook Page for more updates. 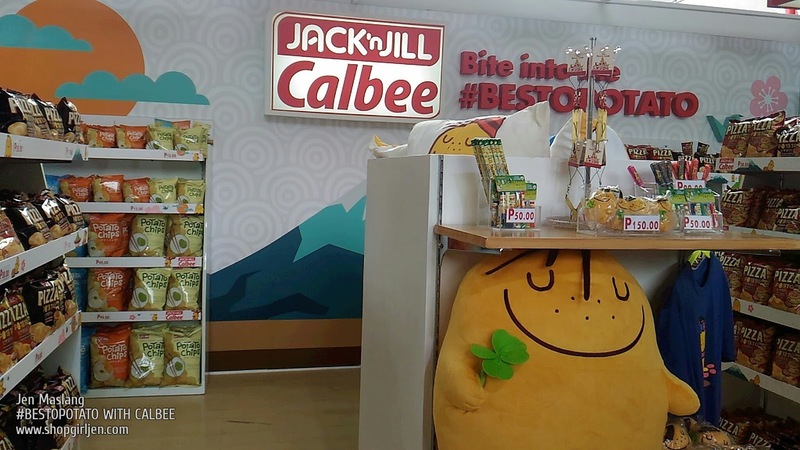 So, make sure to save the dates and mark your calendar and visit the #BESTOPOTATO Jack 'n Jill Calbee pop-up stores!